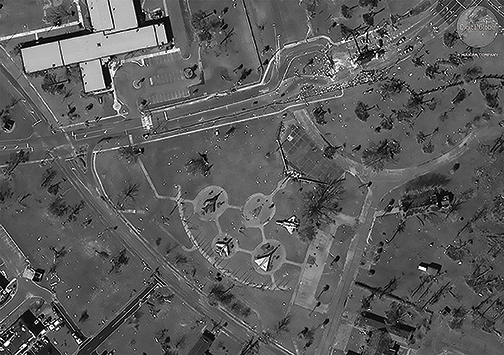 DigitalGlobe’s WorldView-1 satellite collected new imagery on October 11th of Panama City and Tyndall Air Force Base (AFB), Florida, who were in the forefront of the Hurricane Michael onslaught. 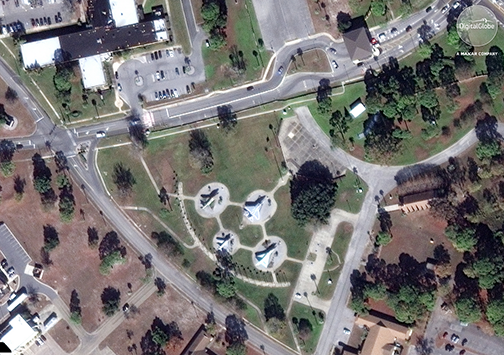 Tyndall AFB prior to Hurricane Michael's arrival. 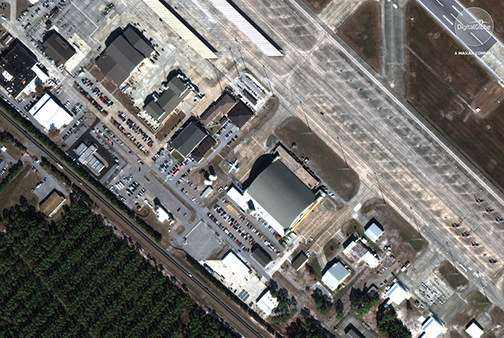 An overview of the hangars at Tyndall AFB prior to Hurricane Michael. 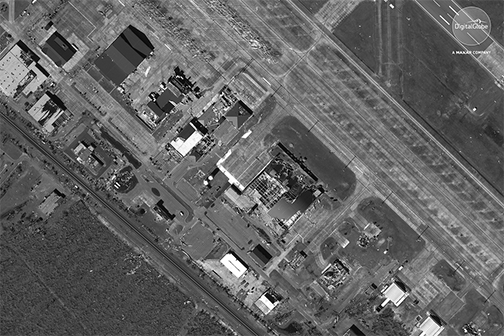 An overview of the hangars at Tyndall AFB after Hurricane Michael.